Saint Jo, TX (March 20, 2019) – Late Saturday, Steven Fairbairn, 25, was airlifted to John Peter Smith Hospital in Fort Worth after his ATV was struck by a white Dodge Pickup truck. According to police, Fairbairn was riding with a friend on an ATV at the “Rednecks with Paychecks” event in Saint Jo on Saturday when they were struck by a white Dodge pickup truck. Fairbairn was airlifted to John Peter Smith Hospital in Fort Worth in critical condition. He had sustained a severe brain injury in the collision. On Wednesday, March 19, authorities announced that Fairbairn, who is from Duncan, Oklahoma, passed away at about 10:30 a.m. as the result of his injuries. The friend who was with Fairbairn at the time of the incident was later released from the hospital after receiving medical treatment. Our deepest condolences go out to the family and friends of Steven Fairbairn at this time. Our thoughts are with them as they begin the long grieving process. We hope that the other man who was injured in this crash will be able to make a full recovery. 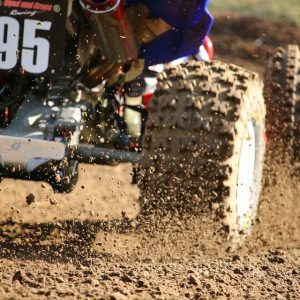 Between 2014 and 2016, 70 individuals lost their lives in ATV accidents in Texas. Although this may not seem like a lot of individuals, our state has the unfortunate title of most ATV accident deaths since 1982. Individuals involved in these accidents often suffer from a Traumatic Brain Injury, which ultimately leads to paralysis or death. In cases where victims lose their lives as the result of reckless drivers, surviving family members can contact a Texas wrongful death attorney to help them file a legal claim against the at-fault driver. Texas injury accident attorneys at the Benton Law Firm help clients obtain the compensation and justice they deserve for the loss of their loved ones. Our dedicated team of legal professionals has extensive knowledge and experience helping victims and surviving family members obtain the outcomes they expect for their cases. By contacting our law firm today at (214) 219-4878, you can schedule a free consultation and case review to explore what legal options are available.